This years 2015 superbash will be held at the indigo o2 again, proving to be a venue of success. 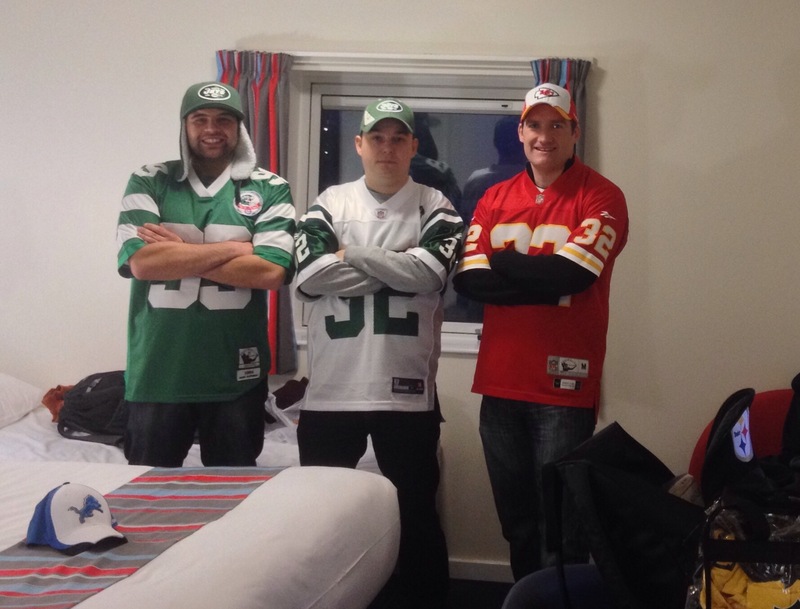 The NFL season will end in Arizona with Super Bowl XLIX when the New England Patriots face off against the Seattle Seahawks and some lucky fans in the UK luckily have been invited to the only official NFL Super Bowl party in the uk. Super Bash will be at indig02. The Detroit Lions wide receiver, Golden Tate and the Kansas City Chiefs Cheerleaders will be there along with the biggest screen that could be fitted in the venue to help make this THE place to watch the Super Bowl. Budweiser and Pepsi will generously provide some free drinks and there will also be something to eat courtesy of NFL UK. There will Merchandise thanks to the great folks at Majestic EU and our very own Dave, Dan and Dennis will be there to share in the atmosphere. Dan is lucky enough to have VIP access behind the scenes. Look out for stories and pics next week. We’re just off to get some food before the night starts, we will see everyone there. Meanwhile look at the previous 2 years below.